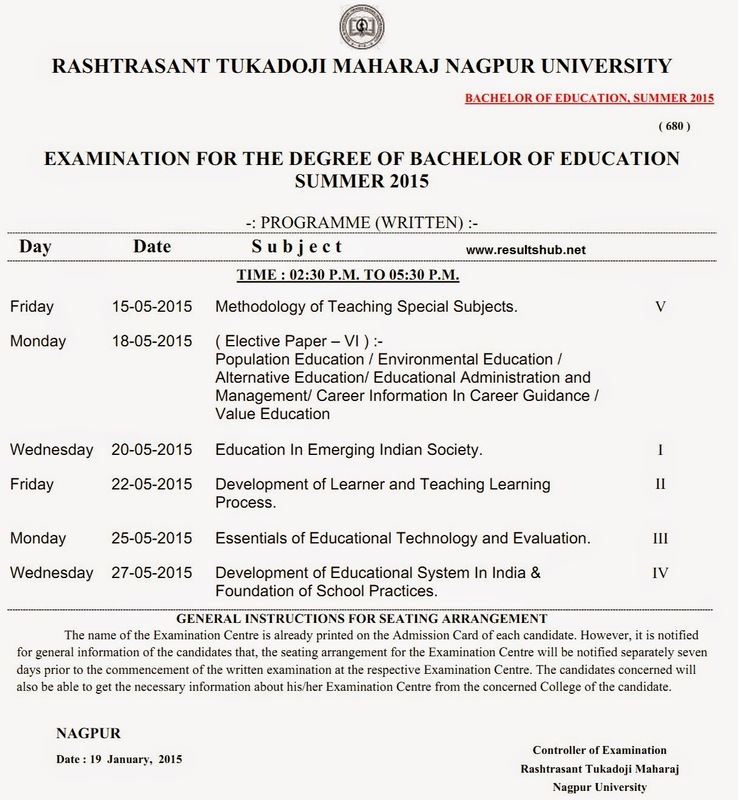 RTM Nagpur University Summer 2015 Timetable of B.Ed. Examination is given below. Chek the Timetable from following Section.